When you begin playing Texas Holdem, you can see that learning how the game is technically played is just the small part of what you need to know. The game revolves a lot around having a strategy when it comes to betting. After you get the game down, you will want to spend a lot of time learning all about how to play your hands and how to read other players. This is the only way you will ever become really good at Texas Holdem. 1. 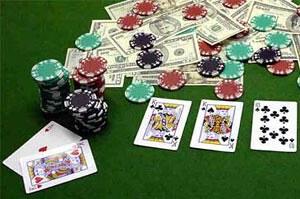 When you are playing a card game, it is usually a good rule of thumb to bet when you have a good hand. However, this isn’t always the case in this game. So, that can be a bit confusing and frustrating for new players. 2. When you are the last player to act and it gets checked to you… Then, stealing the pot is a move used by many. However, you want to do this carefully because players are familiar with this move. And you may find that they re-raise your poor hand. You want to make sure that you have at least something to work with. If you don’t get your hand, you can always check and hope to get your hand with the next card. It is referred to as buying a free card. 3. Another common move is to check your opponent. You do this to lead them to believe that your hand isn’t as good as it is. This causes them to bet. So, you can raise on them. The intention is to give them the thought that they have the better hand. This move can be a very helpful one. It brings more power to your hand as well. While there is much more for you to learn… Pay attention to the tips above as they will help you to get started with Texas Holdem online. You should be careful when you have a very strong hand. Choose the right poker strategy to take the maximum advantage of your cards. While you may want to go all in since you know you have it, this can destroy your chances to win a large pot. You can end up scaring all of the other players out. Instead you want to bet as if you have a normal run of the mill hand until the end. You can do your check raises along the way, but save the big bet for the grand finale.